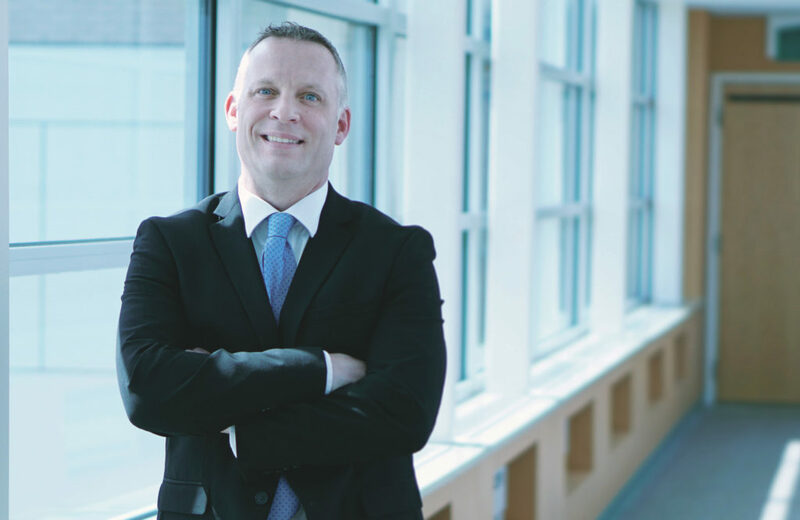 NASHUA – Southern New Hampshire Health announced the appointment of Timothy Scherer, MD, as chief medical officer of Southern New Hampshire Medical Center. Scherer, a Hollis resident and a board certified gastroenterologist, joins the Medical Center from Dartmouth Hitchcock-Nashua, where he most recently served as medical director. Scherer brings more than 15 years of patient care and medical leadership in the greater Nashua community. In addition to his clinical practice in general gastroenterology, hepatology and advanced endoscopy and administrative leadership role at Dartmouth Hitchcock-Nashua, he also served on Dartmouth-Hitchcock’s board of trustees and the board of directors of The Surgery Center of Greater Nashua, among many other roles in areas of clinical practice, organizational management and peer leadership. He succeeds Kenneth Howe, MD, as chief medical officer. Howe retired from his role as CMO, but continues to maintain a busy practice as a general surgeon at the Medical Center. He endorses Scherer as an “exceptional choice” based on his experience as a former colleague at Dartmouth-Hitchcock and more recent clinical collaborations with Scherer, including the Surgery Center of Greater Nashua. Scherer looks forward to his new role, providing an unparalleled opportunity to help support the medical center’s evolution as an innovative, financially stable organization and integral part of a community-based health system. Scherer received his Bachelor of Science from the State University of New York, Binghamton, and his M.D. from The State University of New York Health Science Center, Brooklyn. He completed his internship and residency in Internal Medicine at Dartmouth Hitchcock Medical Center, Lebanon, and his fellowship in Gastroenterology at Lahey Clinic, Burlington, Mass.